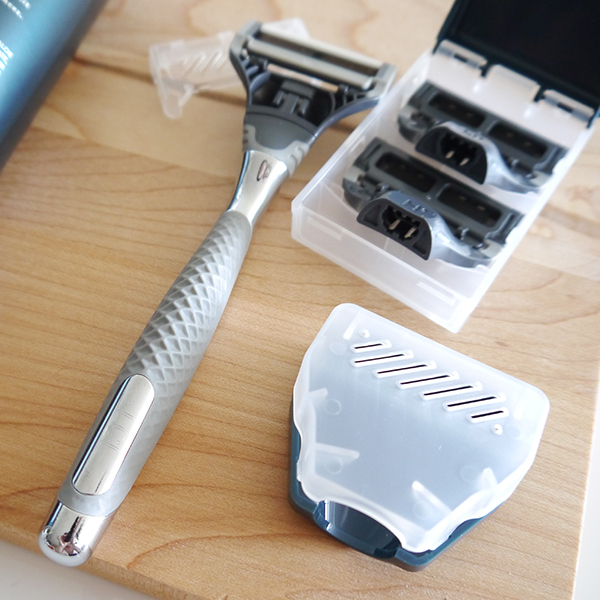 Harry's founders Jeff Raider and Andy Katz-Mayfield wanted to provide "a high-quality shave that’s made by real guys for real guys," at a price that didn't include the ridiculous mark-ups the major drugstore brands were charging for razor blade cartridges (around $5 a pop for a brand-name multi-blade cartridge). 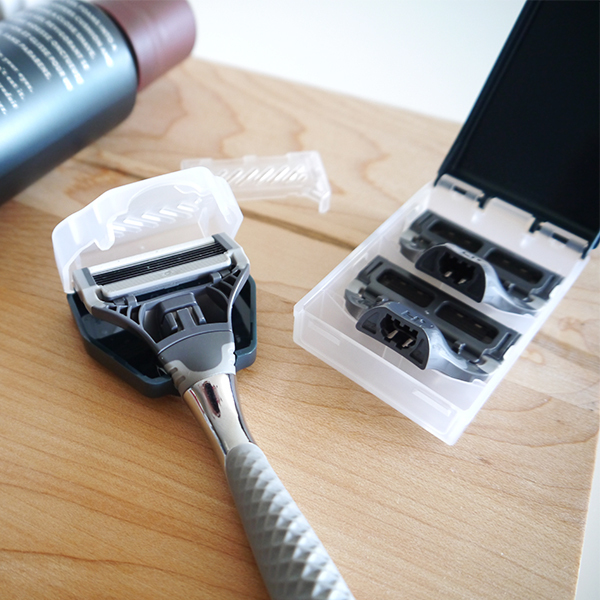 The result is a competitively priced, high-quality shaving system that also boasts a superior design aesthetic. For the best blades, Raider and Katz-Mayfield even purchased a German razor blade factory that's been in business since 1920 to take advantage of their expertise. 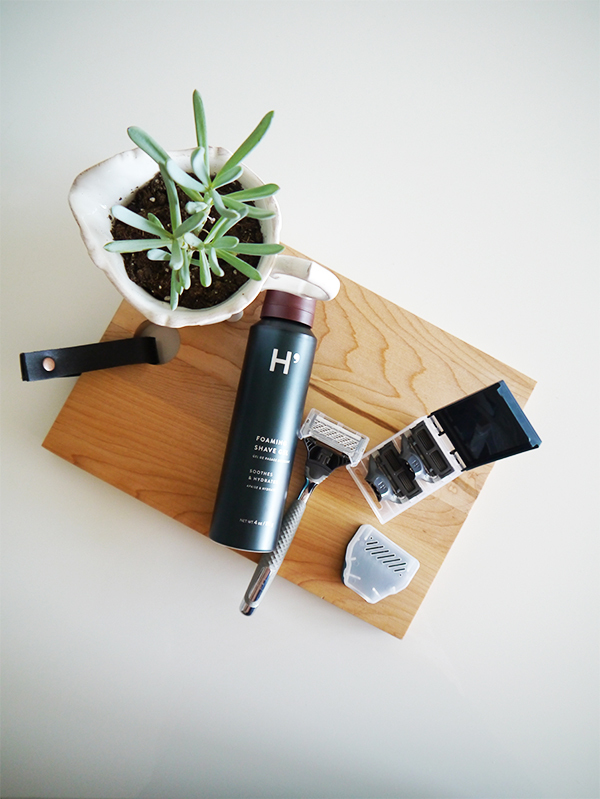 To get started with Harry's, you can order one of the starter sets. Then you can buy replacement shave gel and blades; the more blades you buy at once, the cheaper they are, but they work out to be $2 or less each. 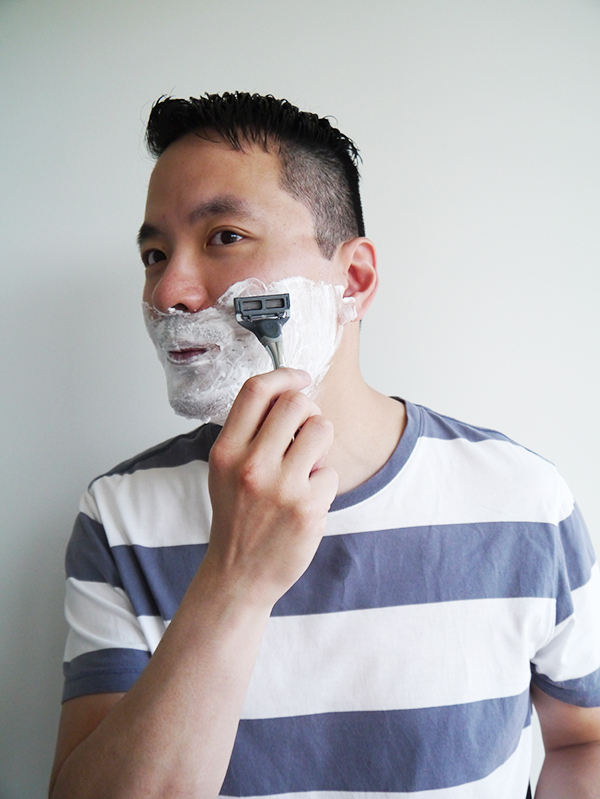 You can also subscribe to a shave plan, which comes with a free trial kit and sends you replacement blades at the frequency you choose, if you're a heavy-duty shaver. 3 Harry's blades, two of which are in a sleek plastic case with air holes. A travel blade cover with air holes that snaps over the head of the razor. 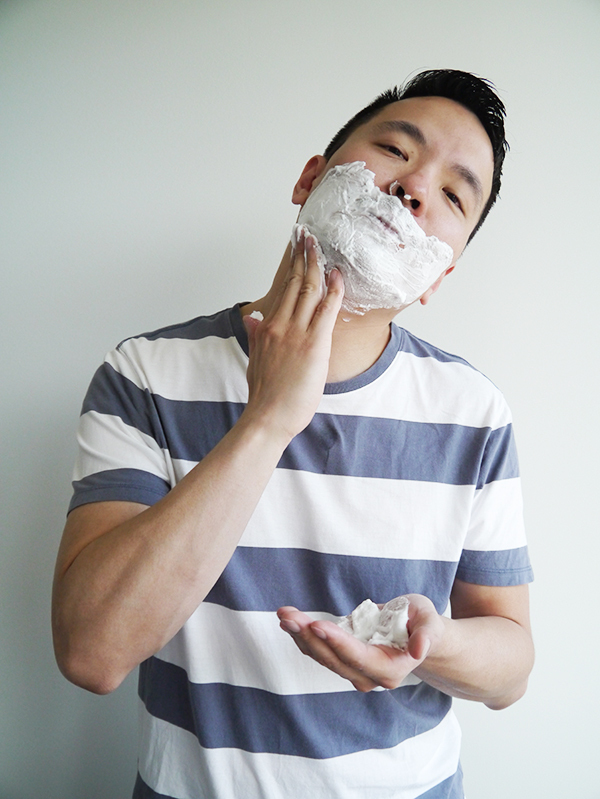 A mini pamphlet with tips on getting a smooth shave. A die-cast zinc and polished chrome razor handle with an ergonomic rubberized grip. For an extra $15, you can get the handle engraved with your initials like the boy did here. The Winston Shave Set arrived safe and sound in a timely manner, and the packaging was lovely. 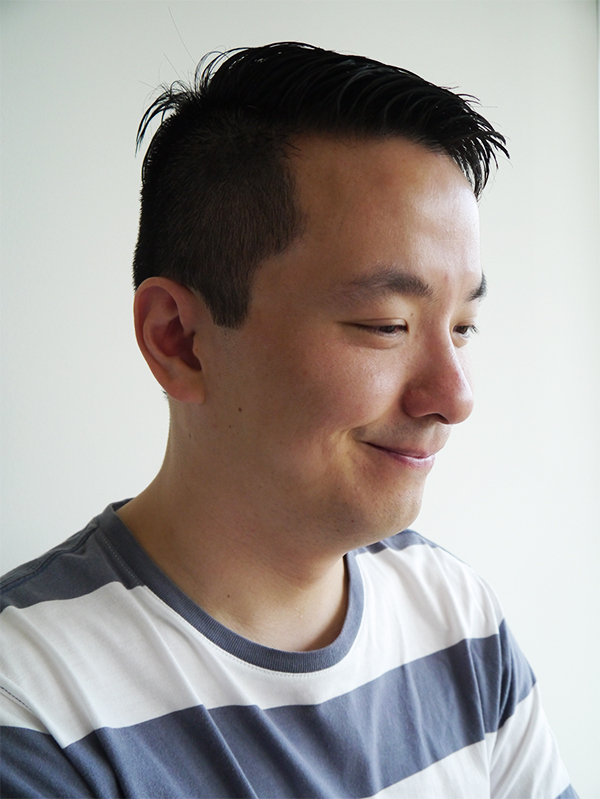 We were both impressed with the overall design aesthetic: Everything was clean and masculine-looking—no garish colours, no bulbous or bulky plastic parts, nothing clunky-looking. The blade cover and box containing the replacement cartridges were sleek and compact, making them ideal for travel. 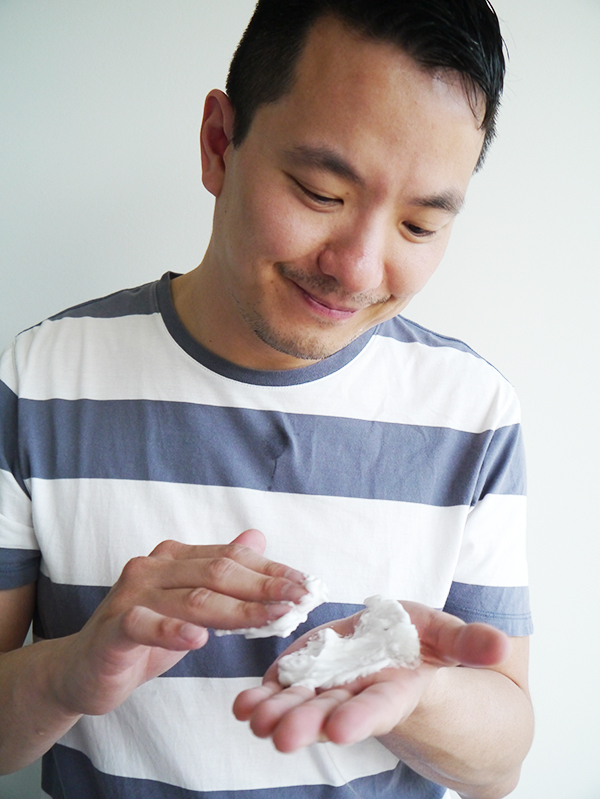 Harry's Foaming Shave Gel ($4 for a replacement bottle) was the boy's favourite part of the entire kit. He loved the fragrance (a sophisticated, masculine scent that wasn't overpowering), the gel-to-foam texture, the rich lather it created, and how it was slightly cool to the touch when first applied. Ingredients-wise, it's not all-natural and it does contain chemicals, PEGs, and dimethicone, which I'm not too crazy about. However, it also has soothing aloe vera, hydrating panthenol and sunflower seed oil, and natural ingredients like bergamot and extracts of cucumber, licorice root, and milk thistle. The only downside is the 114 g size isn't very travel-friendly when everything else in the Winston shave set is, and it looks like this particular product isn't available in a travel mini. Something to consider for the future perhaps? The razor handle received high marks all-around from the boy. Not only did it seem sleek and sturdy, it felt balanced and lightweight and comfortable to hold, with a good grip. The engraved initials were a nice touch. If you're considering getting this kit as a gift, definitely spend a few extra dollars for the monogram! Each Harry's blade boasts 5 German stainless steel blades, a lubricating strip, and a flex hinge. The boy found the blades to be sharp and well-made, but he didn't like the flex hinge as much: it wasn't as springy and pliant as the blades he was used to shaving with and didn't angle backwards as much as he liked. The result was that in some spots, like on his upper lip right under his nose, the blade felt slightly awkward, and in other spots it took a few more strokes than usual to achieve a close shave. For the price though, the value can't be beat. Harry's gets a lot of elements of the men's shaving experience right. The boy really liked the shave gel and the razor's overall design aesthetics and quality. The blades are high-quality and sharp, but could still use some improvements so they provide a closer, more ergonomic shave. That being said, Harry's is definitely worth a try, especially if you're looking for an affordable alternative to pricey drugstore razor cartridges and the ergonomics of Harry's blades and razors work for your face contours. 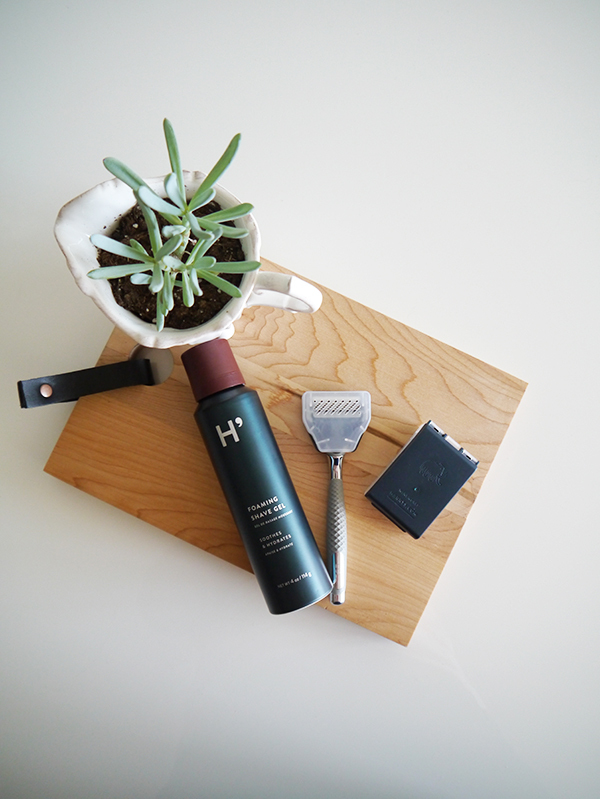 If you're interested in ordering a shave kit from Harry's as a Father's Day gift, the last day you can place orders is June 13th (June 15th if you're using expedited shipping). 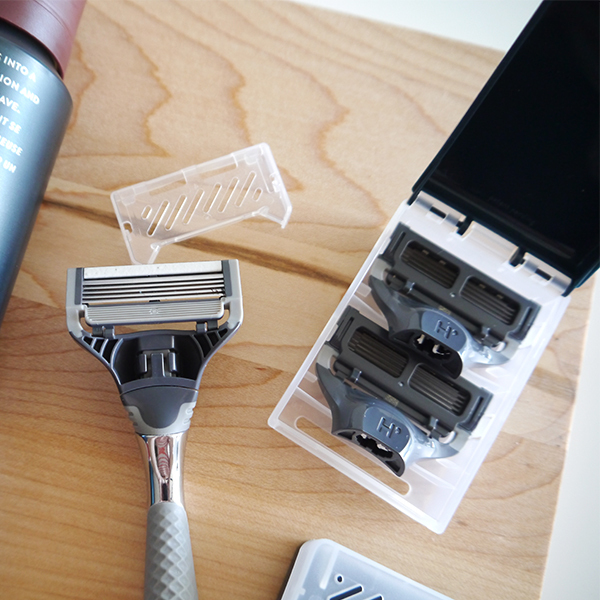 They even have a special Father's Day kit that comes with a razor stand!